Pangkalpinang / Pangkalpinang is domestic airport located in Pangkalpinang , Indonesia and serves domestic and rare international flights to 12 different destinations, connecting Pangkalpinang with Indonesia and China. 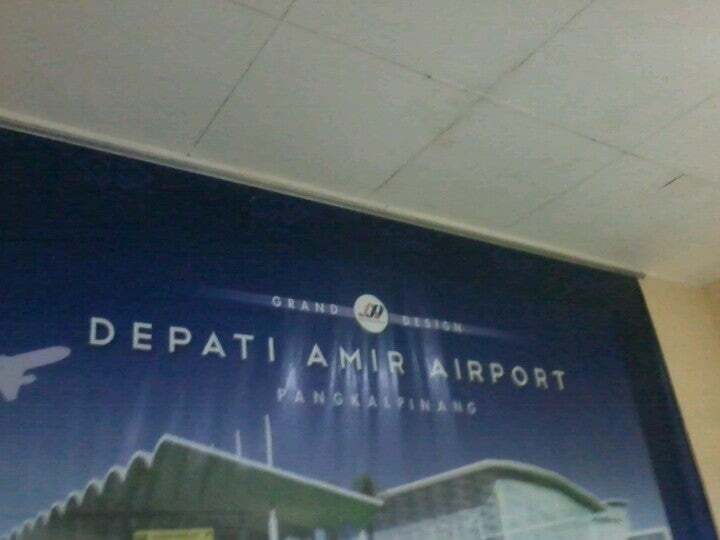 The most popular destinations to fly to from Airport are Tanjungpandan / Buluh Tumbang, Palembang / Talangbetutu, Jakarta / Soekarno-Hatta and Batan, Sumatra . The longest flight you can take is to Batan, Sumatra (1:21 hours) . Carriers such as Garuda Indonesia, Wings Air and Nam Air have regular flights to and from Airport.